Bar, Canteen, Box Office & Merchandise available on the night with cash & card payments accepted. Purchase online and save! Tickets at the door are subject to availability and incur a higher rate. 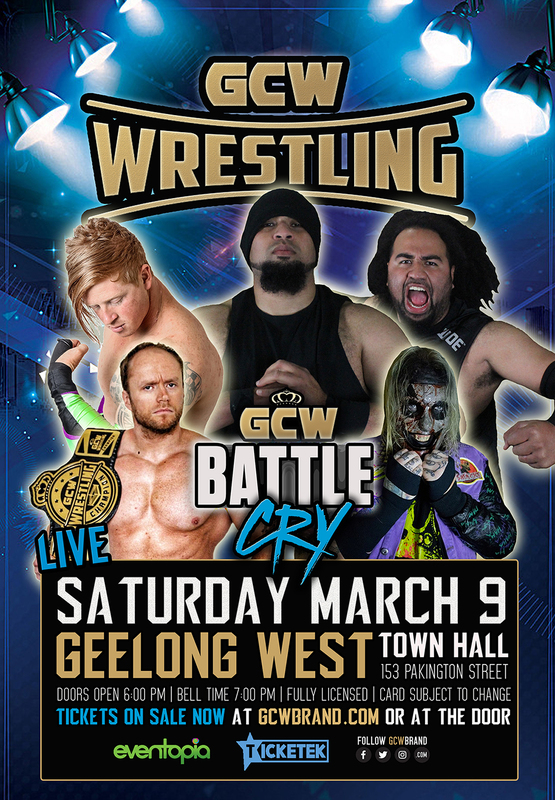 The stars of GCW Wrestling invade Geelong for a huge night of trash talkin', hard hitin', high flyin' action. 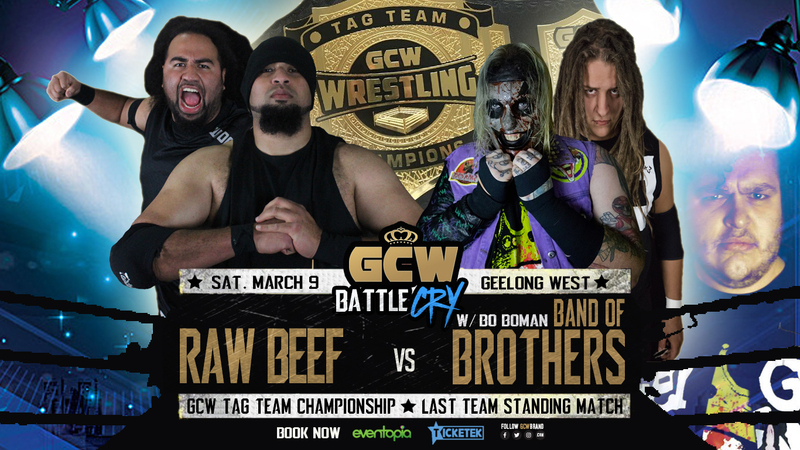 After GCW's tour of Warrnambool the newly crowned GCW Tag Team Champions Band of Brothers have laid down the challenge to any tag team who thinks they can handle them, led by a eccentric manager, the psychotic team are ready to fight off a locker room of potential contenders, and surely at the top of that list are the rapping island duo of Raw Beef! Also in action we'll see Zane Zodiac, who also have a score to settle after being attacked by the Band of Brothers after going toe to toe in a hard fought time limit bout. Kaz Jordan and 'the High Flying' Sketch party into G-Town and are sure to take their bodies to the limit. 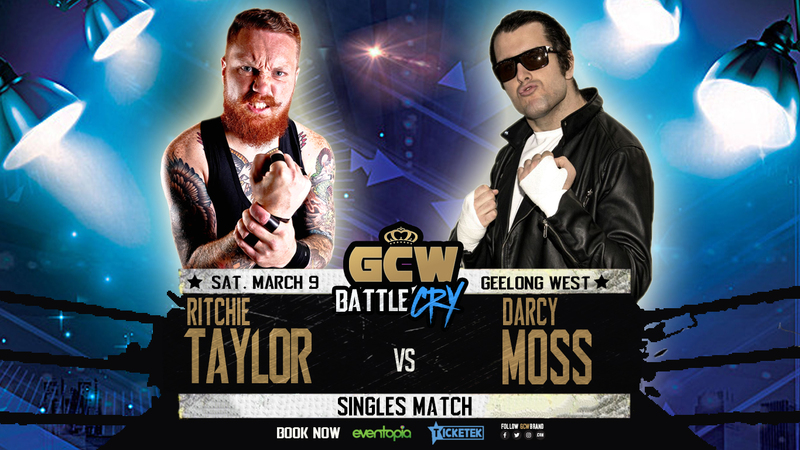 Darcy Moss, the greaser, is coming off a huge main event against GCW champion Andy Phoenix and although falling short, we can bet that he'll strut his way into the title picture again! 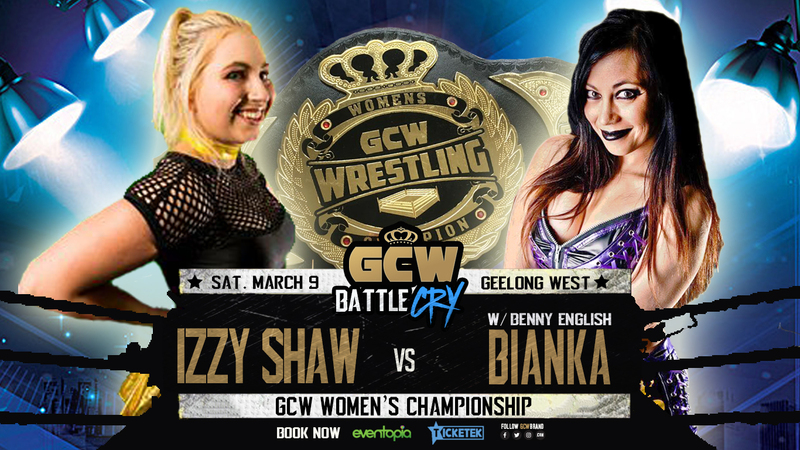 GEELONG, we hope you're ready for this HUGE event! PRO WRESTLING’S HOTTEST STARS FACEOFF IN AN UNFORGETABLE NIGHT OF HARD HITTING / TRASH TALKING / HIGH FLYING ACTION TO ENTERTAIN THE ENTIRE FAMILY!